This is another piece we made very early on, when we were still building out of our apartment. 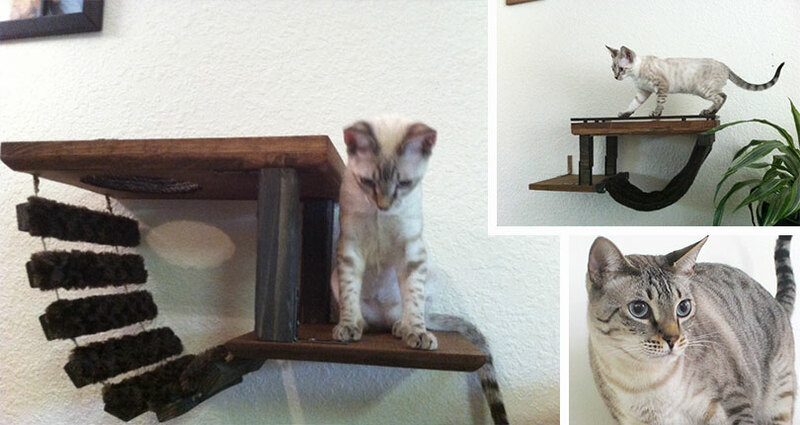 It was the first piece of cat furniture we made that had a hole shelf incorporated in the design. We were picturing our cats playing together through the hole and then take blissful naps on the fabric-covered bridge/hammock. 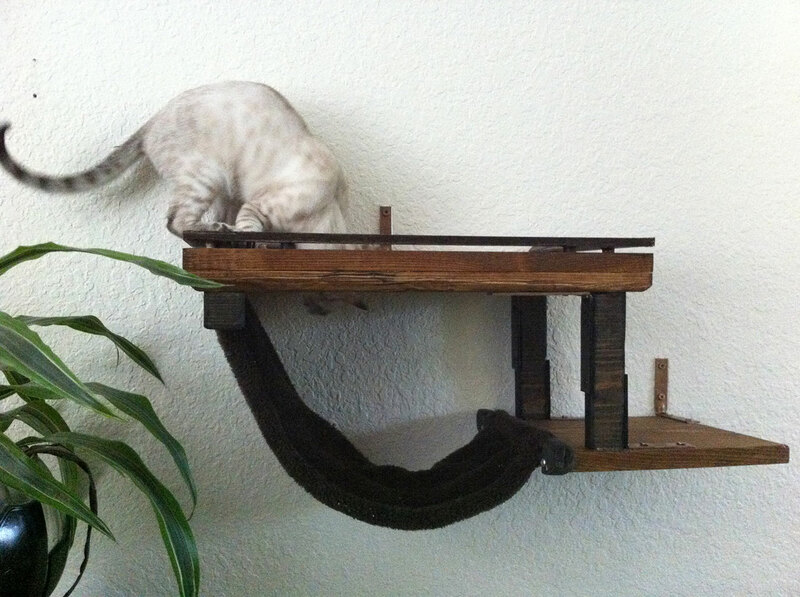 Our cats absolutely hated this piece. We hoped they would warm up to the piece, but after a month of them hating it, we decided to stop selling it on Etsy. 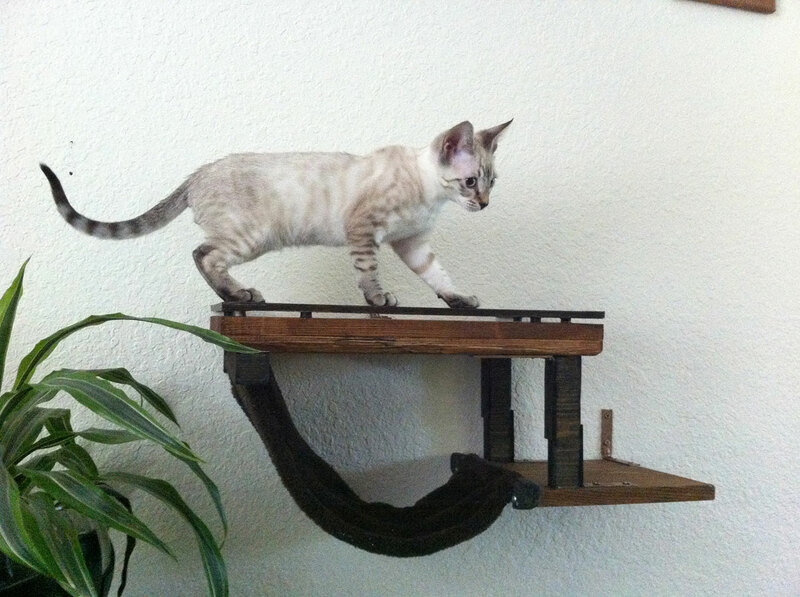 This is one of the pieces that helped us come up with our process of having our cats test new furniture ideas for a period of time before launching them.